Giving our children a great education with a strong foundation to build on, giving them the confidence to accomplish future goals in life, ensuring academic success by improving their overall health and spiritual lifestyle. 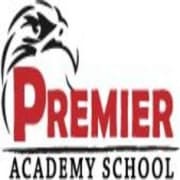 Premier Academy School is a co-ed nationally accredited private school for grade levels K-12 that allows children to be in a safe and positive environment. Our goal is to prepare each student for the next step in his or her academic Career. Our priority is making sure each student achieves academic goals, by developing their critical thinking skills with our one on one learning program, curriculum, rules, and guidelines. Students can choose courses to create an appropriate learning profile. Premier Academy School offers a program that focuses on building a strong foundation for your children’s future. We anticipate that students will master the core subjects before they graduate from high school. In these courses, students wrestle with the ideas, events, and discoveries that have shaped this nation and the world. The rigor of the curriculum is matched by the school’s commitment to small classes and an advisor system that encourages the development of personal relationships between our advisors and students. Would you recommend Premier Academy School?